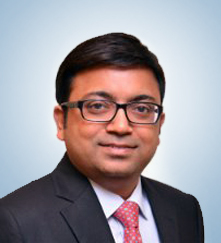 Mr Amit Saxena, presently the MD and CEO of UAE Exchange India has decades of expertise in financial arena. Being a part of UAE Exchange Group spread across 45 countries with more than 37 years of legacy in remittance, foreign exchange and payment solutions, shoulders the responsibility of the Indian operations with banking aspiration, is networked by 370+ branches at various locales, served by 3500 employees catering 1 million customers. In a career spanning almost 2 decades in Retail Finance in India, Mr Saxena has been instrumental in conceptualising and establishing companies, businesses and new geographies from an absolute start up stage with expertise in developing dynamic teams raising equity and debt capital ,building large distributions and establishing comprehensive risk management systems and processes. Mr Saxena has held leadership roles across Retail Finance focused towards Secured Micro and SME Business Loans, Commercial Vehicle Loans, Auto Loans, Mortgages, Securities Finance and Consumer Finance. Mr Saxena started his career with Citigroup Consumer Finance India at its start-up stage. He held various leadership positions starting with Regional Head for products and overall business, National Head responsible for Business Loan against Property and Personal Loan Plus, Project leader for Australia Consumer Finance start-up and Division Business Head & Management Committee for the organisation. From Citi Group, Mr Saxena moved in 2008 to set up a Retail Finance NBFC, Karvy Finance Services Ltd (KFSL) with the support from Private equity investors. Mr Saxena successfully navigated the challenging market environment of 2008 -2014 and established KFSL as a large standalone loan company from an absolute start up stage, starting with conceptualisation of the differentiated business model, seeking regulatory licenses, raising equity and debt capital, core team recruitment, creation of risk management systems and developing distribution across country. Mr Saxena built KFSL as a large niche player in MSME business attracting marquee private equity investors. In 2016, Mr Saxena moved to Standard Chartered Group as MD and CEO of NBFC, Standard Chartered Investments and Loans Ltd with a plan to establish Retail Finance, Securities Finance and Wealth Management Products with an end to end digital platform. Mr Saxena is an alumnus of Doon School, Dehradun, BITS, Pilani, IIM Lucknow& Harvard Business School. Mr Saxena has won a number of accolades like Citi’s ‘Leaders of Distinction’ & ‘Deep Reach’ and is a speaker at forums like Wharton India Economic Forum, Harvard India Conference and ASSOCHAM & CII summits highlighting & championing Financial inclusion through vast potential of MSMEs in India.